Mirei Miyamoto and Masashi Kishimoto original light novel “Naruto Shinden” (Naruto: Naruto New Story) will be getting a new TV anime series adaptation. The novel began publication with Konoha Shinden: Steam Ninja Scrolls in 2016, but was not formalised until it was relaunched from May to July 2018, to commemorate the 25th anniversary of Shueisha Jump jBooks. 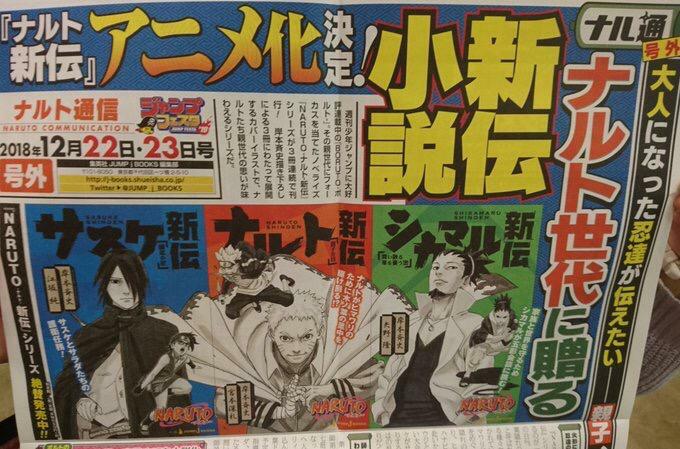 The novel was meant to be bridge between Naruto and Boruto: Naruto Next Generations series but shifted the focus to Naruto and his companions’ learning to become parents, and their relationships with their children.